I got this Most Noble Order of the Crown of Thailand as part of a group of orders. 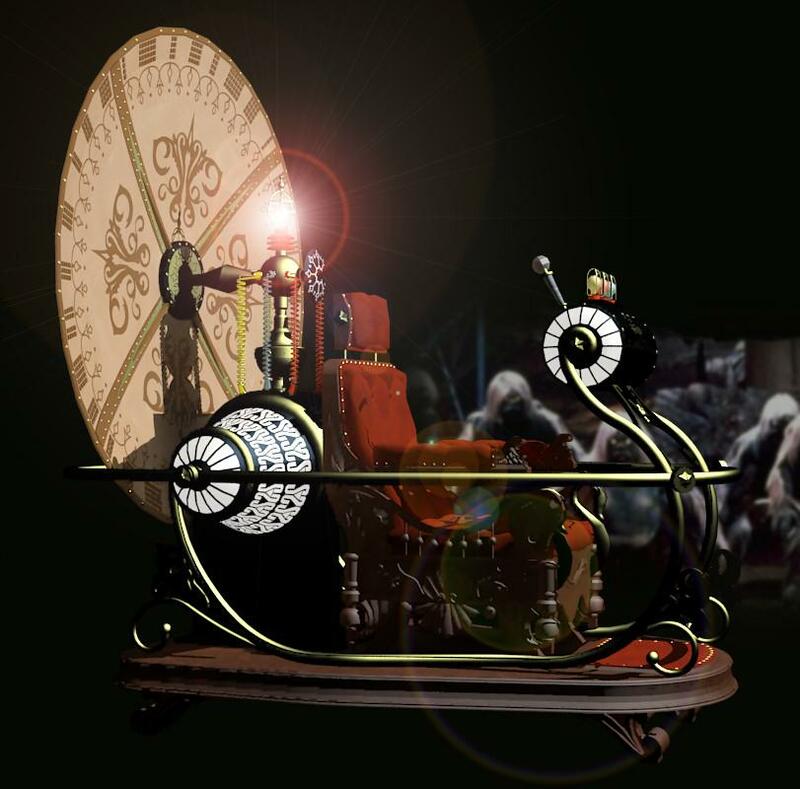 Can the order be attributed to a production period or a manufacturer? I am happy about every information. This order are a type 1 it stoped in 1941 when the type 2 came. 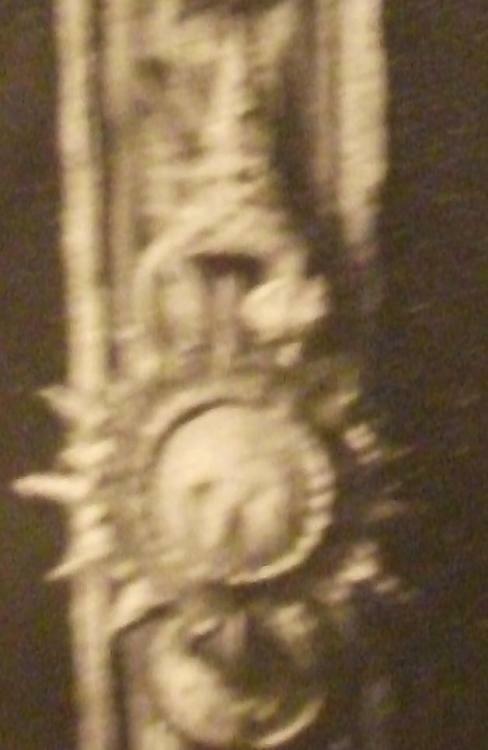 It look like a Danish type of medal mount. This order are a type 1 it stoped in 1941 when the type 2 came. It happened long before 1941. What happened long before 1941? 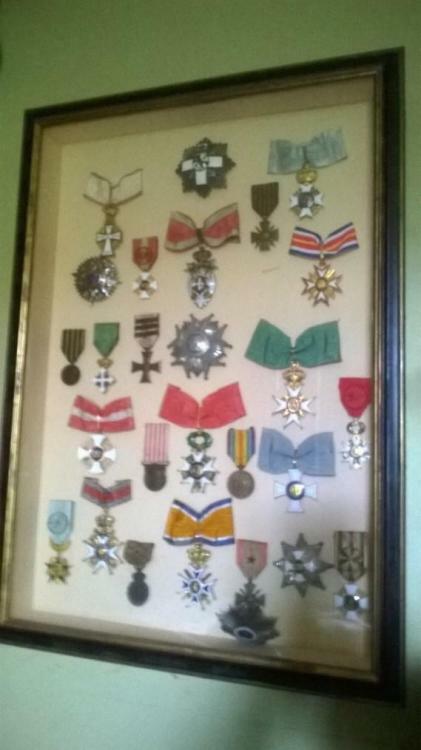 All documents i seen, and my friends in Thialand, say that the type 2 of the order of the white elephant and the order of the crown came in 1941 (2484). What do you have for evidence that it happened LONG before 1941? Long before for me are like 10-20 years before. 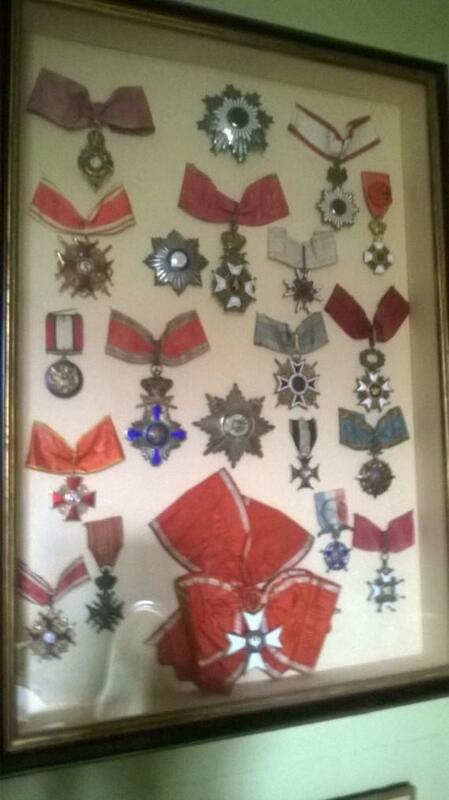 Ok hope you can read Thai Go in to this page http://www.soc.go.th/Royal-Thai/Royal-Thai-index.htm Hear are all documents you need about Thai ODM, Orders Decorations and Medals. Good luck with this site Mike. From what I see it has only basic info about current thai awarding system and latest news about awardings. But maybe I simply can`t find the right directory. Please give me a direct link to the directory where I can find these documents "you`ve seen"
I get the same thing right now when i tried. Dont know whats wrong. I did not save any of the documents unfortunately so i cant show it to you. Ýou have to belive what i read and what my friends in Thailand told me. I will get more information from one of my friends, he is an expert on Thai ODM. In the meanwhile can´t you show what you have? Yes, Micke. Very unfortunate. I would even dare to say tragic. I`ll stick around and wait until Dave will supply you with original text of these regulations. Until then hej så länge, Micke! 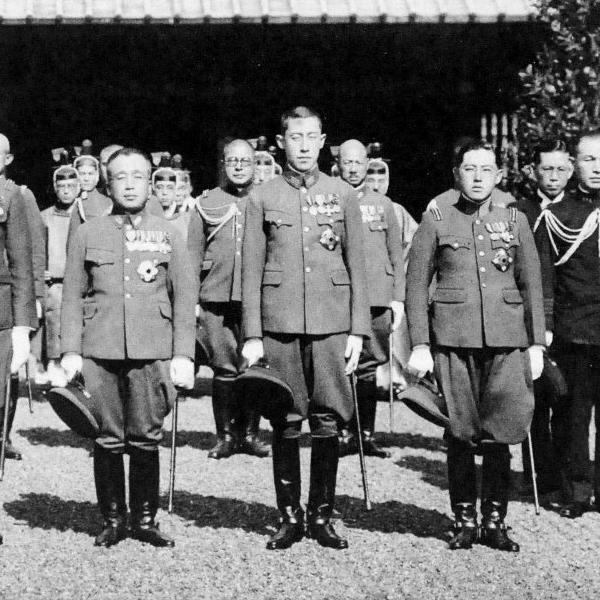 Did all officers change directly in 1938? I can onley say what happened in Sweden when a change of a uniform take place or a new uniform comes in the old days. Because in Sweden officers hade to buy there uniform, not the battle uniform. So there was always a transition time when the new was introduced. About 2-5 years. Specially if the officer was in the reserve. So often officers used different uniforms, some hade the new and some still used the old type. I don know how it was in Japan. But it can be that this officer didnt change his uniform 1938.. Maybe he changed it after 1941 or he never changed it? 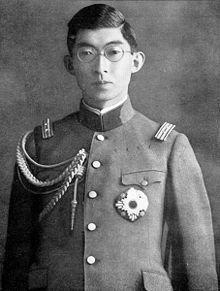 If you look at this https://en.wikipedia.org/wiki/Shizuichi_Tanaka read under the picture. See on the attached picture, taken 1938, you can see both types of uniforms are used at the same time. So.. i think you can not exclude that he still was wearing an older type of uniform in 1941 or even later. Here are the acts from 1941 about the OWE and OC. 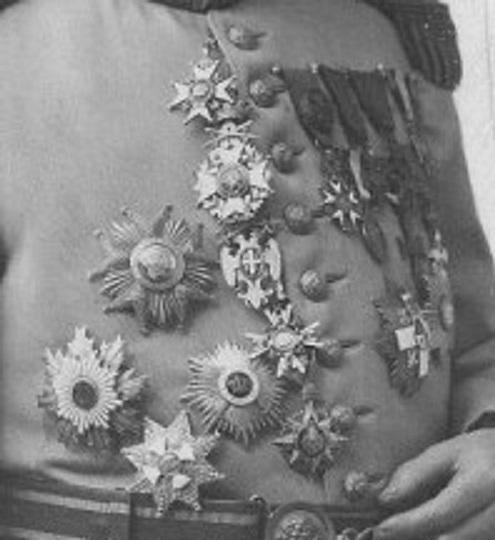 Prince Chichibu in December 1940. Still wearing the old type of uniform. Micke, you're full of surprises. You`ve read and seen practically everything. Now, it is my pleasure to introduce to you general Charles Joseph Dupont. I know what you`re thinking Micke. 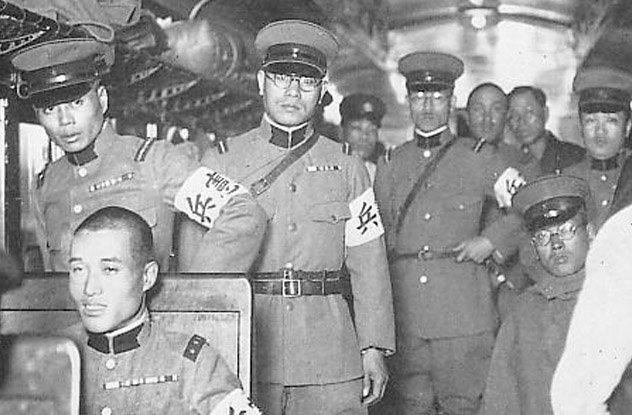 "When this photo was made", "wrong uniform - right time", "correct uncle - wrong order" etc. If it is, don't bother. would you mind explaining to us why you (or the person who actually read them) decided that change in design took place in 1941? To add to the discussion, my great uncle, who was governor of Mid Java (Netherlands East Indies) from 1926-1930, received in 1929 the third class of the order of the White Elephant. He clearly wears the second type of the order on his official uniform as governor. 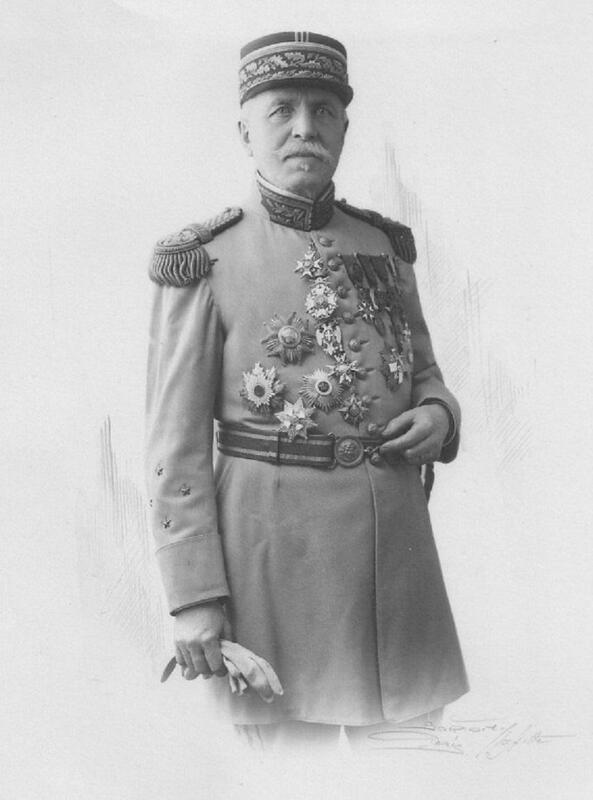 He retired in 1930 and returned to the Netherlands without any further official function. A great-looking uncle with a great-looking elephant, dear Pieter! Same elephant at the present time. I will look into it more. I think this is very interesting. Because something are not what it looks like. It’s philaristicley very interesting. I know the orders have been changed more then one time. The latest are the acts from 1941. But I think it’s amusing that you know sooooo much more then the Thai government about these royal Thai orders. So instead of being a prick you can show documents that are saying exactly when the orders changed? Because you are saying the official documents I showed you are wrong. I will look into it more. I bet you will because you`re quite a reseacher Micke. That's for sure. To say nothing about the incredible level of your trustworthness. And another thing... my friend in Thailand are not Dave. I don’t know anyone named Dave. I’m on this forum to learn not to talk down on people like you. If I’m wrong about anything I’m willing change my opinion. There are always someone that know more then your self. I always been nice to you, so I don’t really understand why you act like you do. I thought you were interested in phalerestics... but it seems like your here to talk down to people. I think like this... the acts for the royal Thai orders that I showed you say one thing. You have showed one picture that say another thing. That’s very interesting and I would like to get to the bottom of this... why is it like this. So.. instead of just acting like you do, you could help finding out why it is like this. Little of topic, but information not given are information lost. general Charles Joseph Dupont hade a order from Sweden. He was commander 2:nd grade of the Order of Vasa. (Kommendör av andra klass av Vasa orden, KVO2kl) See first picture. 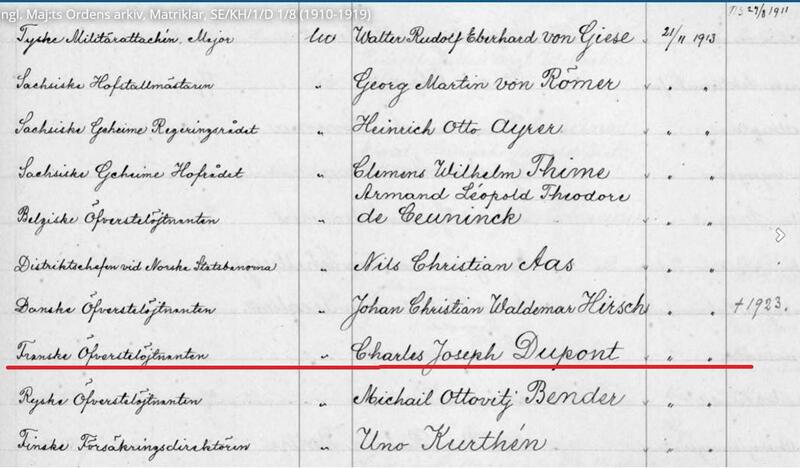 Second picture are the swedish royal chancellor´s register of when he got it. 21 nowember 1913. Friends, are you talking about the second edition of the Thai White Elephant Order? I am going to work in my time. I have a book from the Thai people, specializing in their order, but they are all Thai. I will give you photos tomorrow.